My buddy wrecked his Miata. Glad he's ok. Literally the same day I got rear ended. 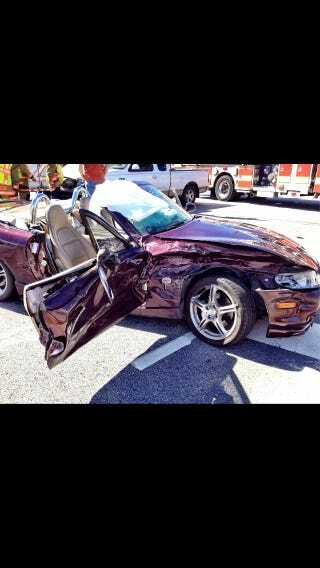 His wreck was much worse than mine. The F150 in the background blew through a red light and plowed into him. Like I said earlier, he is ok.